Welcome to the homepage of University of Canberra High School Kaleen. University of Canberra High School Kaleen is a professional learning community, committed to doing whatever it takes to ensure all students achieve success. 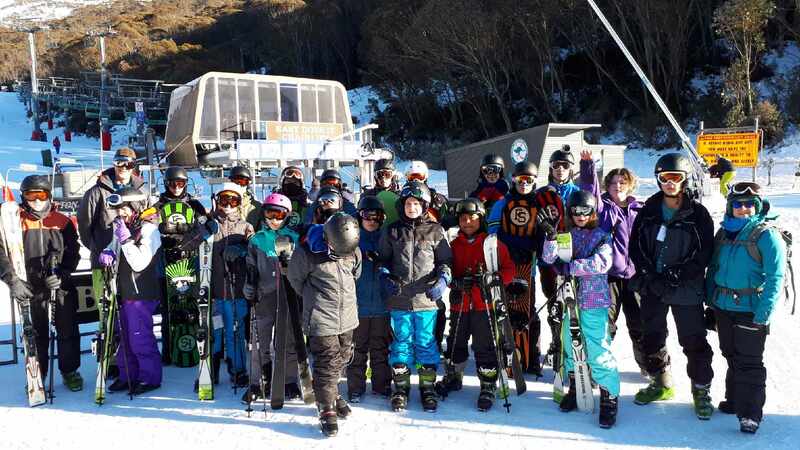 We are an inclusive school offering a broad educational program to all year 7 to 10 students from Kaleen, Giralang, McKellar, Lawson and neighbouring suburbs in north Canberra. Please browse our related pages and contact the school directly for any additional information about our school. 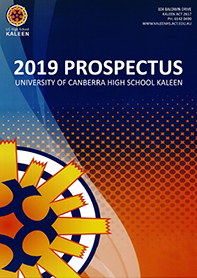 UC High School Kaleen is hosting an Open Night for 2020 year 7 enrolments on Tuesday 7th May 2019 from 6:00pm - 8:00pm. ACT Public School enrolments for the 2020 school year will open on Monday 29 April 2019. To find out more details about the enrolment process and timeframes, please click on the link below to take you to the Department of Education's enrolment page. For information about Priority Enrolment Areas (PEAs), please refer to the Education Directorate's PEA page. 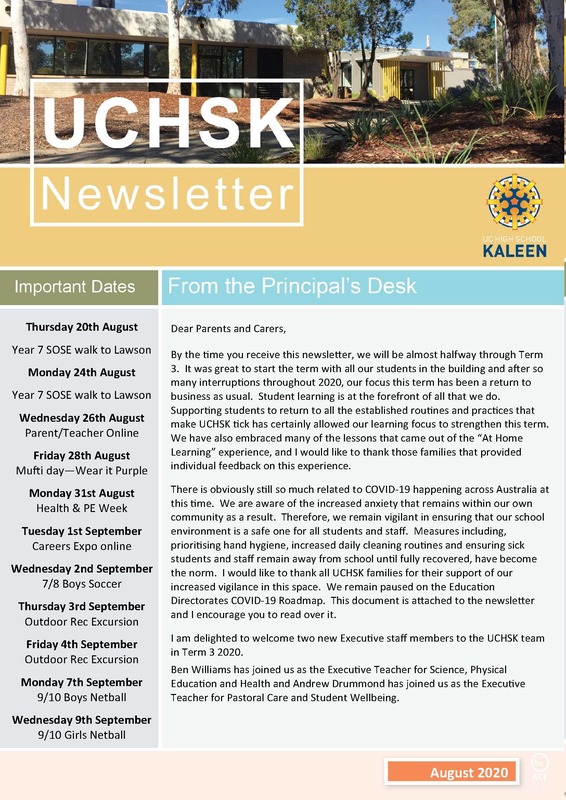 UC High School Kaleen will have a new timetable in 2019. You can have a look at it HERE. If you have any questions feel free to contact the school on 6142 0490. 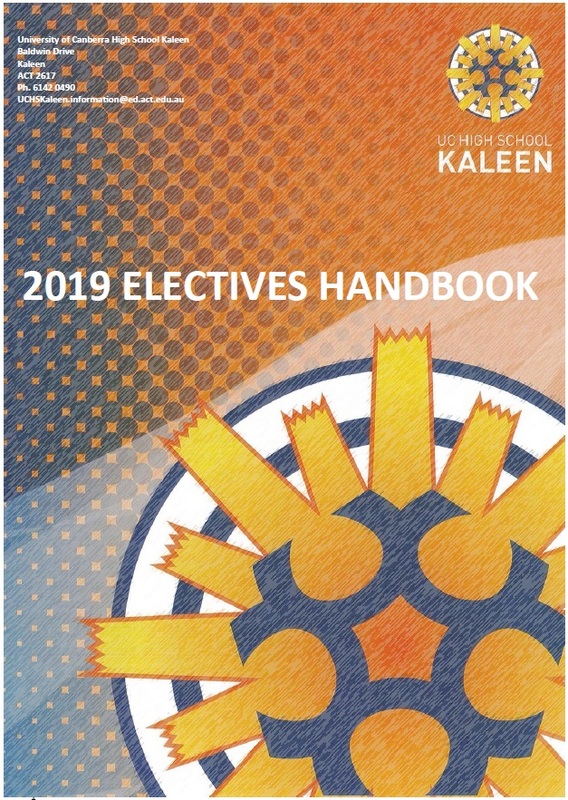 Please find below the link to the OfficeMax book pack requirements for 2019. The website is now open for ordering and instructions on how to complete your order can be found in the document. 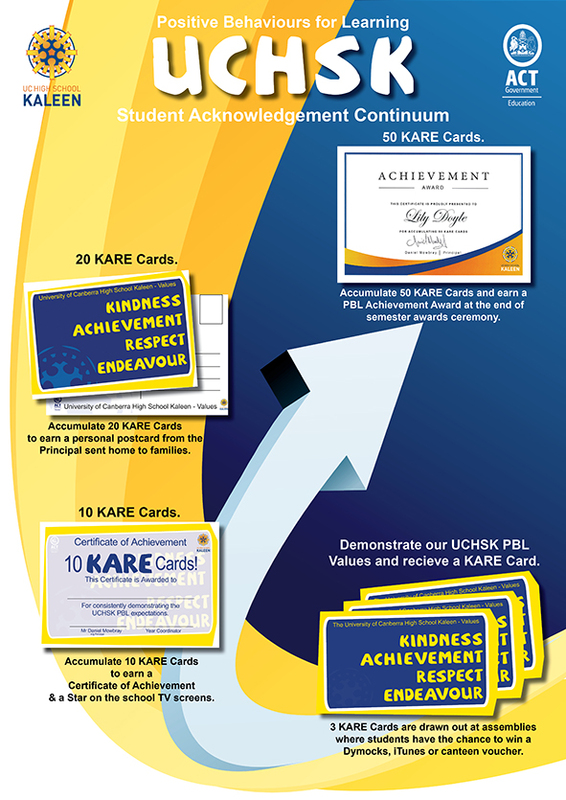 If your child is working with the Learning Support Unit, the link to an alternate book pack can also be found below. If you have any questions please feel free to contact the front office.